If you find yourself making constant repairs around the house, or worrying whether your home’s ready for the winter, then this is the guide for you. This guide includes general house maintenance tips that could save your roof, foundations, and other vital parts of your home. As well as the high priority tasks, there are a lot of tips for general upkeep of your garage, air conditioning, garbage disposal, and aspects you could cost yourself a fortune by overlooking. In this guide, I’m going to show you 41 home maintenance tips and tricks you can’t ignore if you want your home to stay structurally sound, maintain low running costs, and retain its full value. Bonus: Need no explanations? Grab your PDF Home Maintenance Checklist Now. The most drastic outcome when you ignore home maintenance is that you put your life and your home’s structural integrity in danger. In this section, I’m going to go through the vital tips you need to know and take action on. Sump pumps are often found in basements, and are the last line of defense against floods, condensation build-up and water from drains. Unless you’re happy to end up with a flooded basement or damaged foundation, you need to test the pump at least every 6 months. For extra protection, consider getting an automatic leak detector. Window wells are great for letting natural light into your basement and providing ventilation. They also keep soil away from your window fixtures, but they can put your basement at risk if they’re not looked after. Leaves and other debris can clog the drainage pipe, and after extended rainfall, the water pressure against your basement window will be intense. If you don’t clean the drainage, the water pressure can smash the glass and pour gallons of water inside. So, make sure you’re using a shorthanded shovel, a snake, or just your hands to pull out any blockages from the pipe. It’s not fun to have mice living with you, regardless of where they are. However, when they nest in places like your A/C units, garden machinery, and near electrical wiring, it can be disastrous. Remove the vent at the back of the dryer, and vacuum the area. Alternatively, use a cleaning kit like this to make sure you’re maintaining this vital part of your home. Termites pose a considerable risk to wooden homes, and without the proper precautions you could find yourself stepping out onto your porch and falling through it, or even finding out your entire home’s foundation has rotted away. Termites can’t survive sunlight, so the most likely places you’ll find them is in your basement. Go down there and use a spray can of foam to plug any gaps where they could get in, then take a flashlight and screwdriver to inspect the wood for signs of damage. Poke the wood with a screwdriver and check for weaknesses. If the wood is flaky or rotting, you might already have a problem that needs professional attention or a DIY solution. Twice a year, change the batteries in each detector. To be safe, you should have at least one of each type of detector on each level of your home. If you’re prone to forget this task, change the batteries when you change your clocks for daylight savings time. Don’t rely on the automatic beeping to tell you when to change the batteries. After replacement, be sure to hold the test button down for 15-20 seconds after changing, so you can hear whether or not the battery is faulty. …Because the last thing you want is your dryer to start a fire, your smoke alarm not to detect it, then your fire extinguisher to fail. You’re lucky to have a home with a wood-burning fireplace — don’t let it become a danger. A buildup of dirt, birds nests or objects ending up in your chimney can easily catch fire and burn your house down. Not to mention, a chimney that doesn’t efficiently air the house out can cause a build-up of smoke or deadly carbon monoxide. When you’ve got the life-threatening issues out of the way, it’s time to make your home into the most efficient living space it can be! Here you’re going to check that your appliances and fixtures aren’t wasting heat and energy. Over time, all kinds of dust, grease, and dirt get stuck to the coils behind your refrigerator. It makes your appliance inefficient at best, dangerous at worst. The coils are what your fridge uses to cool down, so if they are insulated, the fridge will have to work harder to get colder, or overheat. Use the brush attachment of your vacuum, and work the grime away without forcing it. Use a cloth to gently wipe them down to catch anything the vacuum missed. There you go! Enjoy lower running costs and the reduced risk of a house fire. Don’t trust your radiators to maintain themselves! It’s likely they will need bleeding each winter to ensure they’re running at full efficiency. Bleeding a radiator gets the excess air out, and means the radiator can get warmer with less power consumption. To bleed a radiator, release the valve and hold a rag underneath it to catch drips. You should hear air seeping out. When the sound stops, tighten the valve up. Cleaning the gutters out is something no one really wants to do, but it can save you money on replacement gutters, and even on repairing roof damage. Clogged gutters can overflow and break, and put strain on the roof itself. In the winter, they can fill with ice that causes thawing damage or strains the material. Note: don’t bother with gutter guards. They can make your gutters impossible to clean. It’s not worth it! Outwards facing windows and doors are prone to damage from the elements, which could cause the seals around the frames to rot away. When this happens, you’ll have a much tougher time heating your home because the heat will slowly seep away. If you’re waking up every morning to a freezing house, you’ll want to make this your number one priority. Even if you’re not, it’s well worth checking. With a fresh hood filter, your range will extract steam and grease more efficiently, saving you money and possible replacement costs for the range. When toilets and sinks aren’t used regularly, grime can build up in the pipes and faucets. 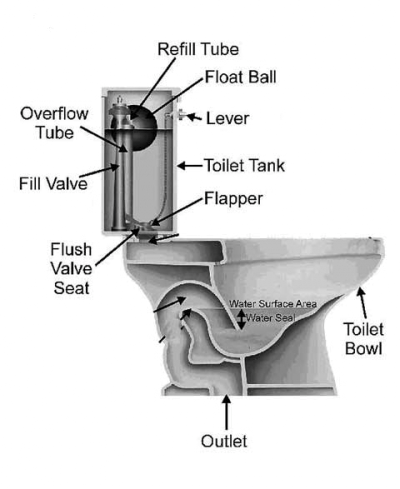 If you have a bathroom you don’t use very often, make sure to run water through the systems at least once a quarter to keep the flow coming smoothly and reduce future clogging. 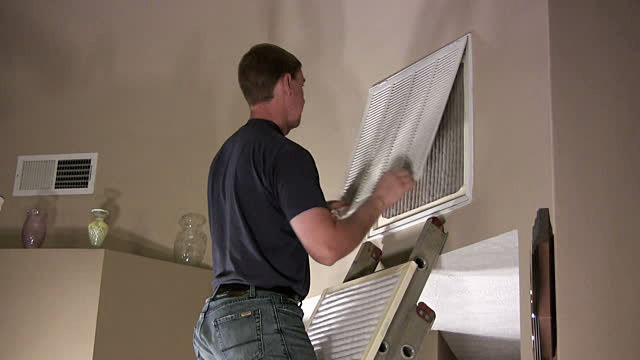 Changing your HVAC air filters regularly can cut energy bills by 5-15%! Plus, if you live in an area with lousy air quality or pollution, you need to keep the filters fresh to stay safe. Swapping out filters is easy. There’s no cleaning to be done, so just take the old one out, dispose of it, then slot the new one in its place. Make sure you AC is functioning at peak capacity by getting an HVAC tune-up at least once a year. You might not know exactly if and when you need this, so it’s safest to schedule it annually in advance or risk your unit breaking down on the hottest day of the year. Another tip is to run your boiler at least once a month, even in summer. This way, you keep it efficient. Since you throw all kinds of junk into your garbage disposal, it’s only logical it’ll need a little care and attention on a regular basis. After use, make sure to always run the machine with cold water for a minute with dish soap inside. Cold water will help solidify any grease so it can be chopped up before hitting the trap. As well as this minor periodic maintenance, you’ll need to make an effort to properly upkeep the unit. An easy way to do this is to toss a lemon or an orange into the disposal once or twice a month. The citric acid from the fruit helps break up any buildups of grease, and, as an added bonus, it smells great. If the garbage disposal is giving off a particularly nasty smell, just pour 4 tablespoons of Borax down the drain and leave it to sit for an hour or so before rinsing with hot water. Unlike many appliances, water softeners are low maintenance. All you need to do is to keep them topped up with high-quality salt (e.g. not course rock salt). 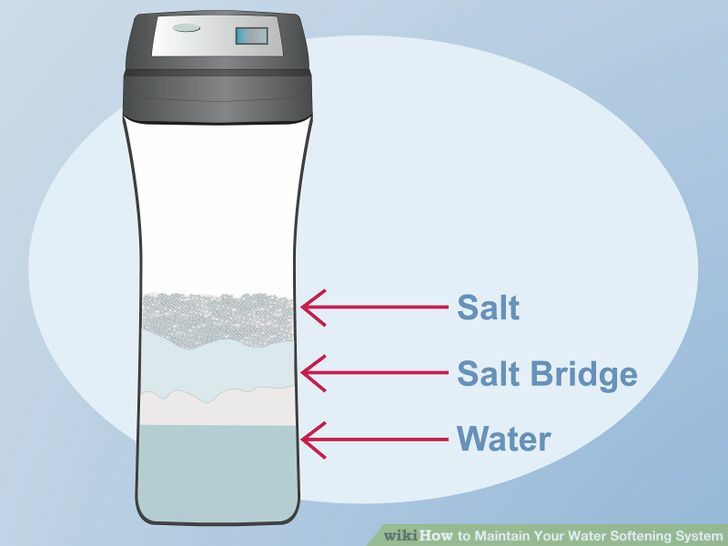 During hot weather or when it’s warm inside, water softeners tend to form what are called salt bridges. This is when a layer of salt hardens inside the machine. Using quality salt should avoid this issue in the future, but if you’re experiencing it now, simply break up the layer of salt with something you can poke into the tank. Depending on the weather, there are a variety of tasks that might need your attention at any given time. What I’ve listed so far are jobs you can do regardless of the season. Now it’s time to take a look at what you need to do each season. It sounds like a lot of work, but you’ll get into the routine and it’ll become top of mind in no time. Winter is one of the most serious threats to your home. If you don’t prepare for it, you can have problems with your roof, windows, and heating systems. Let’s look at how to keep your home running properly in the winter months, and how to prevent spending more money on energy than you have to. Open and close all windows and doors. When you secure the lock, is there any gap between the seals? A good way to check is to trap a $1 bill between the seals, lock it, and then try to pull the bill out. If it slips out easily, there’s enough of a gap to leak the heat out, and you may need to either replace the lock or the seals. To tell which part is the problem, firmly grab the handle and try to wiggle the door or window in its frame. If it moves, you may need to replace the locks, which should be tasked to a professional windows and doors fitting company. Note: you can also use the $1 bill method on your fridge to check if the seal has loosened over time! When it snows and your gutters fill with meltwater, they’re going to run over. As the water runs over, it freezes and creates icicles. 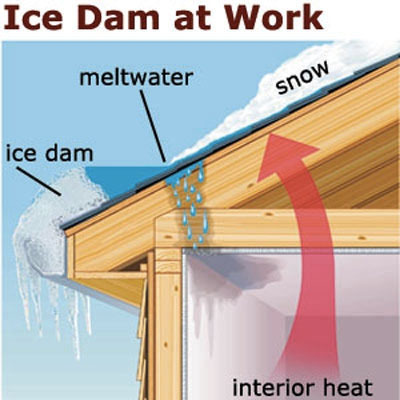 Your interior heat will melt the snow from further up your roof and supply the ice dam this creates with even more fuel, eventually creating a heavy block of ice all around your guttering. Icicles can tear off your gutters, rip your shingles, and cause serious harm to anyone unlucky enough to get caught underneath them as they fall. In the long-term, if you’re getting ice dams, you need to see it as a problem with your home’s insulation. If your heating reaches the top of the roof and starts melting snow, it’s time to get better insulation. Short term, you just need a way to smash them off the side of your roof without causing any further damage. For this it’s recommended to use a roof rake like this. Focusing on the interior of your home (once the icicles have stopped destroying your gutters), winter’s now the time to make repairs to your interior. If any loose handles or knobs on cabinets have been bothering you, it’s time to sort that out. Often it’s just a case of using the right screwdriver on the opposite side of the knob to tighten it up. Firmly grip the handle to avoid it spinning, and tighten the screws up. Handles and knobs are the kinds of things that annoy you every time you use them, but you never decide to fix it. Now’s the time! For obvious reasons, winter’s not the time to paint your exterior or work in the garden. It’s the best time to clean the place up. If you keep a regular cleaning schedule, you’ll only need to do a deep clean once a year, anyway. When I say deep clean, I mean areas like behind the TV, under the cabinets, and anywhere else that doesn’t get touched when you do a cursory vacuuming and dusting. A guide to deep cleaning your entire house would be another post entirely, so get a checklist for deep cleaning to make sure you clean sustainably and thoroughly. If your heating runs on electricity, the last thing you want in the winter months is for it to be so cold you’re seeing your own breath. You can use a multimeter to test power flow through just about any kind of electrical circuitry. Extension cords, wall sockets, you name it. If you don’t have a multimeter, they only cost around $20 and can save you a ton of headaches. Use the tool to test your appliances, including the power flow through any type of heating systems you may have. While you’re at it, it’s time to test your ground fault circuit interrupter (GFCI). To do this, just press the test button and use a multimeter to check there’s zero power flowing through. Spring is often the time where you finally get to take care of any outdoor home upkeep tasks and assess the damage done by winter. 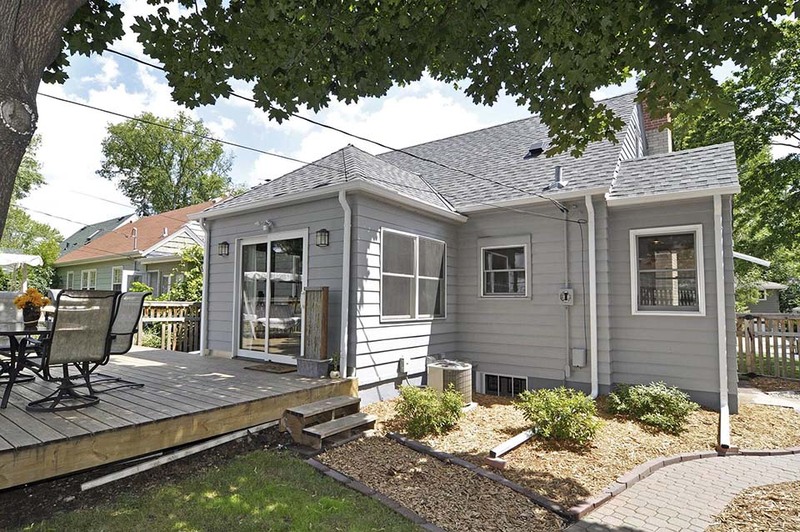 Just like how we all take time to do something outdoors as soon as the weather’s good enough, spring is a reminder that there’s still a yard and a roof under all that snow, and it needs your attention. Spring is the time when you’re most likely going to notice damage from the winter elements affecting your home. 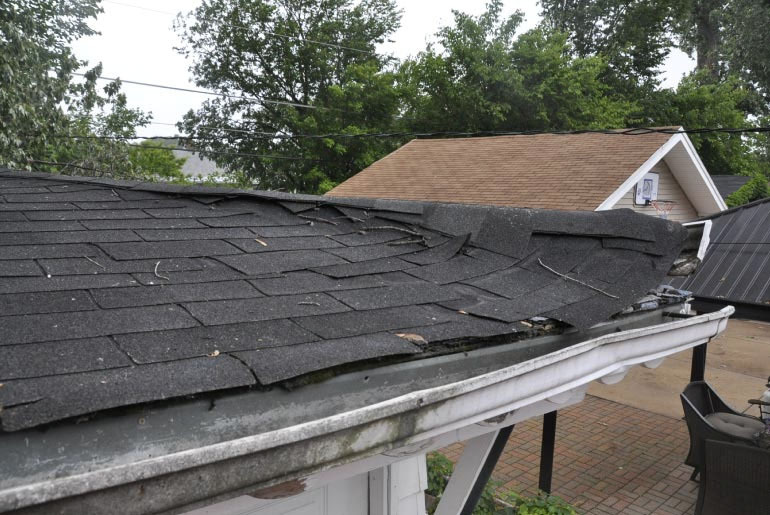 Get your ladder, and start inspecting the roof for broken or warped shingles and cracks. Now it’s pleasant to be outside, replace any worn shingles or guttering in preparation for next winter. Alternatively, you can get a ceiling fan duster for $14. In the Spring, when you’re planting new greenery and getting your garden ready to bloom for the summer, you first want to clear out all the dead plants and weeds. Weeds compete with your garden for nutrients and water, so can end up stunting the growth of the rest of your plants. Dead greenery could have died because of a disease, so needs removing as soon as possible to ensure it doesn’t spread. When removing weeds and dead plants, it’s important not to add them to your compost pile. The weeds could still pollinate, and any diseases the dead plants have could spread. Rake fallen twigs and leaves into a pile along with any dug-up dead plants and weeds, and arrange to have the waste taken away to the dump. This is also a good time to prune your plants, trim away dead leaves, and keep your yard in great shape for next season. With the dead plants and weeds gone, it’s time to focus on the overgrowth. It’s not safe to have tree branches growing too close to your home, or to be within range of power lines. Carefully remove any tree branches that are closer than 5 feet away from your home. Otherwise, they can conduct extra moisture to your roof and cause damp. This also deters raccoons and squirrels from nesting. The first cut stops the bark splitting and making the other cuts difficult. The second relieves the strain allowing you to make an easy incision in the right place. Don’t cut the branch off right at the trunk. It makes it hard for the tree to recover, and will end up making a rotten hole in the side of the tree. 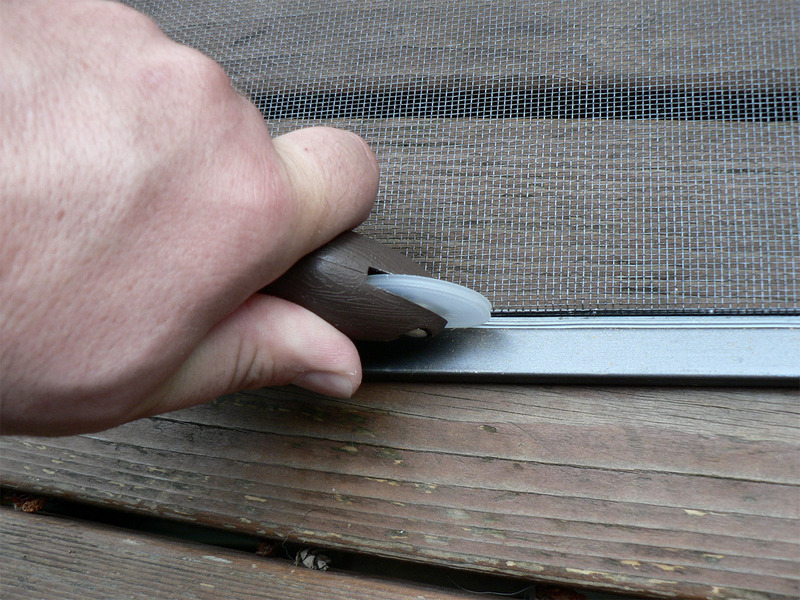 Window screens can easily get torn, but as long as the frame is in good condition, it’s easy to make repairs. Ah, what a great time to be outside. Assuming it’s not extremely humid and unbearable outside, the summer is the time for working outside in the garden. Check back through the article to the section about cleaning your windows wells, if you didn’t already do that. And make sure to bookmark this article for future seasons because it’s useful all year long. When it comes to cleaning your patio or decking, the pressure washer is tool #1. You can use it to blast away all kinds of dirt and grime, leaving you with a surface that looks as good as the day you laid it in. While you’re pressure-washing, pay attention to any parts of the decking that need repairs. If you have had a history of termites (refer back further up the page if you’re still having issues), there might be loose planks. For patios, perhaps some of the paving stones are cracked. In these cases, it’s wise to contact the supplier where you got the materials from to get some backups. You can expect the materials to degrade over time. Check here for a guide on cleaning your wood decking, and here for a guide on patio maintenance. The dreaded phrase, ‘clean the garage’ is something that strikes fear into the heart of many-a hoarding human. The garage is the traditional resting place for the bulk of life’s useless objects, including empty paint cans and copious amounts of ancient newspapers. Since summer is the time where it’s actually bearable to be out in an unheated area, go ahead and throw all that garbage in the trash. If you’ve been cultivating the classic garage trash pile for decades, you might even need to hire a junk removal professional. Don’t worry about it — a clean garage will take a load off your mind. Wipe the door knobs, door opener, shelving, etc. Get a complete garage cleaning checklist with extra detail here. While you’re in the garage, now’s a good time to check the automatic door. If your reverse setting doesn’t work properly, it can be dangerous — especially if you have children around. Inspect US recommends putting a tube of cardboard underneath the door and closing it. If the door crumples the cardboard at all, the force is too great. To fix it, check out your owner’s manual. You might find the mechanism can be re-calibrated quickly, or you might find you need to contact a service company. Mildew and water damage issues are symptomatic of your drainage system not carrying water far enough away from your home. If water is left to seep back into the foundations, your basement and attic can start to show signs of damp. To fix the drainage in your yard, try extending your downspout and cleaning your gutter (covered in this article). If these don’t fix it, you can try to install a French drain. 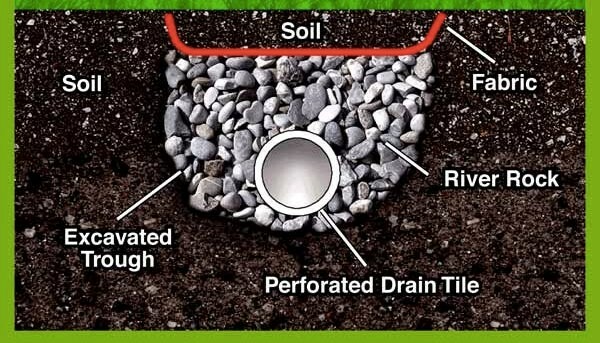 A French drain is a perforated pipe installed 2 feet deep in your garden, preferably in a low point where groundwater collects. The pipe is surrounded by gravel, which water can permeate. Instead of turning your yard into a swamp, groundwater will run through the pipe and drain into the soil that slopes away from your home. If you’re looking to paint your exterior, choose a time that’s dry, but not too hot. Before diving into it, make sure to check the paint on a small, inconspicuous section of your wall. There’s nothing worse than painting an entire side of a house before realizing you’ve made a mistake. Home maintenance in fall time is all about preparing your home for the winter, and getting the last bits of work done outside before it gets too cold. Use the below checklist to make sure your home is in the best condition to face the harshness of winter. You’re going to need to prepare your furnace for the extra burst of heat your home will need in the winter months. Change the furnace filter. This keeps your air clean and your heating efficient. Check air registers. Make sure you’re not closing more than 30-40% of them at any time. Inspect the furnace. Look for dents, loose parts, and a blue pilot light. Now’s a good time to stock up on extra filters, too. Every year, you should flush your water heater to remove sediment build-up. This keeps running costs down and reduces the risk of a breakdown. When you’ve done this, your heater will be as good as new! If you live in a snowy area, you can expect winter to be the time where your drainage system and gutters takes the most strain because of melting snow. Water that’s constantly run into the ground near your home’s foundations can cause structural issues, so make sure to divert your drainpipes away from the foundations by at least 3 feet. Pick up a downspout extension from Home Depot for as little as $9. During the fall, your yard can become totally covered in leaves. They can look pretty, but they quickly degrade and turn your carefully-cultivated grass into a big patch of dirt. Using a leaf blower, regularly clear your yard out of leaves, branches, and other debris you might find there. If you have a large yard and regularly deal with leaves, consider getting a backpack model leaf blower for maximum efficiency. If you forgot to do this and are already experiencing problems, use a heat gun or hairdryer to thaw the faucet out before proceeding. 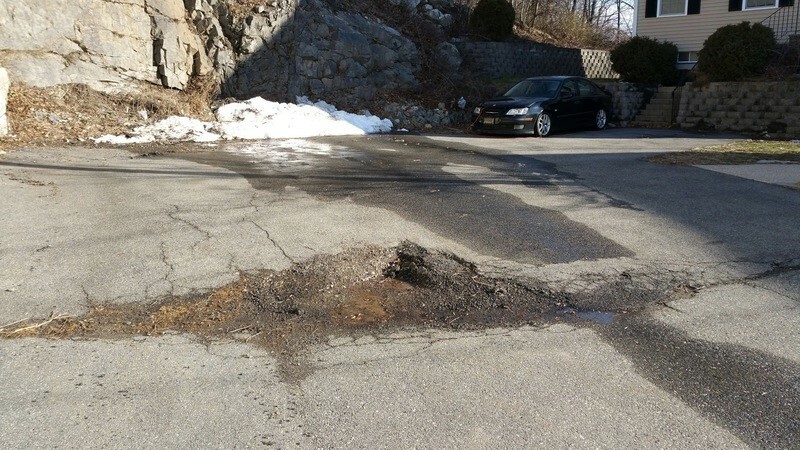 To avoid making the problem worse, it’s best to fix it now before another winter sets in. Owning a house is wonderful, but it doesn’t come without the responsibility of home maintenance tasks. In this article, we put together a comprehensive list of home maintenance tips, but we wouldn’t expect you to remember all of them. For your convenience, our team has created a home maintenance checklist that you can download and use to make sure you’re taking great care of your property on an annual basis. A well-maintained home makes everything refreshing, thanks for sharing this article. No doubt about it! I love coming home to a clean home.